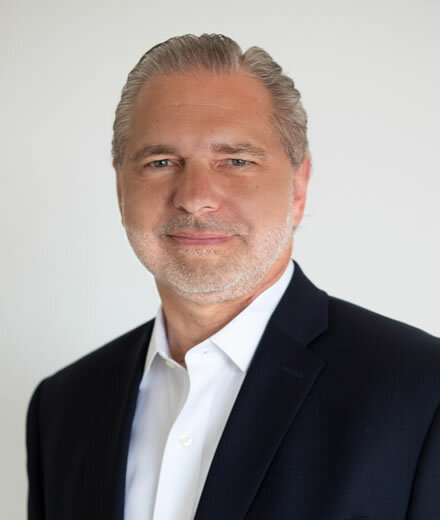 Frank Faeth is an Executive Coach and Leadership Consultant with over 30 years of experience leading multi-disciplinary teams as a Fortune 500 executive. As Frank rose through the ranks of some of the most prestigious companies in the world, he developed a keen understanding of how relationship dynamics in the workplace have an impact on bottom-line business goals. He applies his knowledge to help senior executives operate at peak performance. Leaders and managers with high emotional intelligence excel, especially in today’s interdependent business culture. Frank works with executives to understand and manage their emotions through self-awareness, develop and maintain relationships, make better decisions and cope with changes and challenges. Executives learn more about themselves and how others perceive them than they’ve ever known before. They are willing to make adjustments to their attitudes and actions because Frank provides a non-judgmental and supportive coaching environment. In collaboration with Frank, executives are inspired and empowered to sharpen their strengths, break engrained patterns that are holding them back and align their thoughts and behaviors with the missions of their organizations. Principles of clear communication, relationship building, compassionate leadership and active listening underpin Frank’s approach to coaching. He stresses these practices as he engages his clients in meaningful conversations that are shaped by proven personality assessments and driven by measurable goals. Frank operates with a deep sense of integrity. He possesses a profound understanding of how to bring out the best in senior executives and teams. And, he wants nothing more than to see his clients achieve their dreams. Developing resilient, relationship-driven leaders: Research proves that companies outperform the competition when senior executives sustain strong relationships with their peers and team members. Frank’s clients learn how to communicate openly, honestly and consistently to motivate people to support and carry out their visions. Helping abrasive executives recognize and reshape their behavior: Abrasive executives are often star performers who fail to understand that their behavior is disrupting the organization, damaging their relationships and hampering their progress. Frank reveals to abrasive leaders how they are perceived and engages them in role-playing to reshape their behavior. He helps companies restore civility, avoid costly turnover, and possibly even prevent litigation. Building relationships between business and technology teams: Persistent technology failures continue to cost companies millions of dollars. According to research, the biggest roadblocks to success are people factors. Frank quickly zeroes in on the personality conflicts and corporate governance policies that derail projects and devises a plan to build relationships between business and technology teams to boost success rates. Empowered a marketing executive with techniques to maintain his self-esteem at work without the constant need for approval and acknowledgement. Worked successfully with a highly capable but abrasive internal auditor at a global bank to apply more emotional intelligence to his reactions and relationships. Demonstrated, through role-playing, how a technology specialist could become even more effective. MasterCard Worldwide. Senior Vice President, Global Technology and Operations. Oversaw strategic, operational and technical support for the Marketing, Merchant Services, Information Services, and Loyalty businesses. Marsh, Inc. Senior Vice President, Chief Global Architect. Led a team of 13 technologists, to work with their operations and business counterparts to build a new global IT architecture. JPMorgan Chase. Vice President. Served in positions of increasing responsibility and authority within technology and operations, and private banking planning and marketing. Created strategies for consumer banking and branch operations as well as automation for the retail bank during a 25-year career with the bank.